It’s my birthday, but I’m giving away presents. 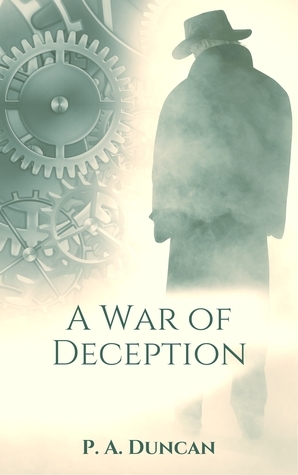 Five people will win signed paperback copies of my first novel, A War of Deception, in a Goodreads Giveaway. The Giveaway is open from April 27 to May 26, release day. See the graphic below and enter now!